I didn’t start taking pictures of pole until about 3 years in, which I do regret. This was from the spring of 2013. One of the greatest things about pole fitness is that there are so many different styles and ways to express yourself. 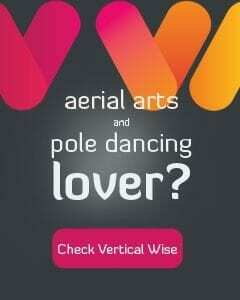 You can focus on the sensual, the sexual, the funny and entertaining, the emotional, the physical – there are as many expressions of pole as there are polers. I am an unashamed trixter – I love the flips and the twists and the moves that cause people to go – “holy-crap-how-are-you-holding-on???”. During high school, I competed in track and field and cross country, and in college, I became a rower – so it’s fair to say that I was drawn to the physical side of pole. 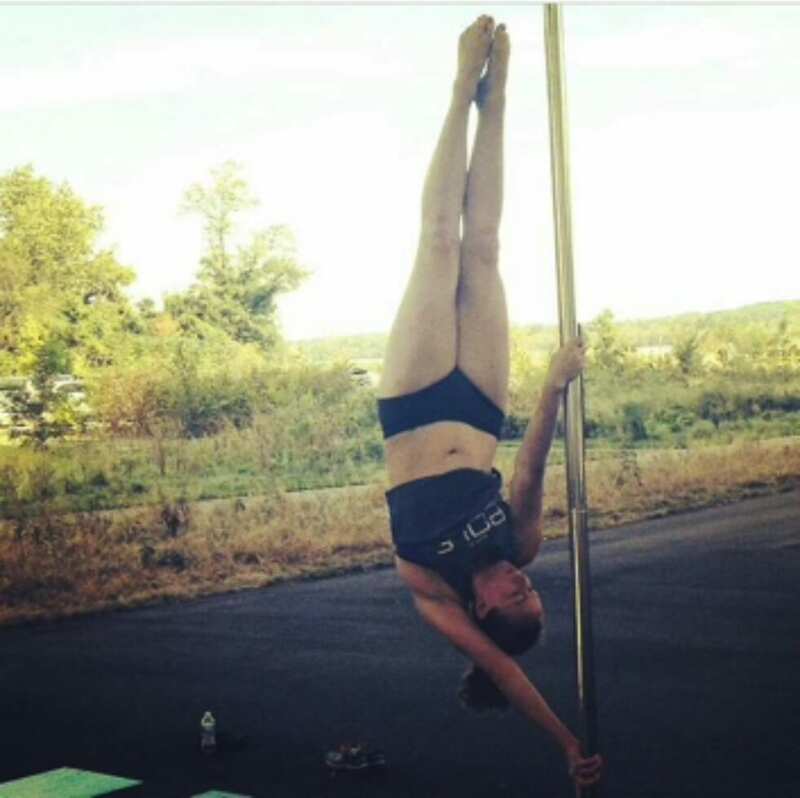 During my first years in pole I kept up my running (completing several half-marathons and shorter races), and relied on pole as my strength training. I noticed more muscles and was able to do some really cool tricks! But as with any type of workout, I started hitting plateaus. The fact that I was teaching, and not taking, classes was also a contributing factor – while I was able to teach new moves to my students, I wasn’t able to learn new moves that were challenging to me. I started taking aerial hoop classes at my local studio (Pole Pressure) – now this was a great jump start! Fun aerial cross-training, grip strengthening, flexibility work…all great things! 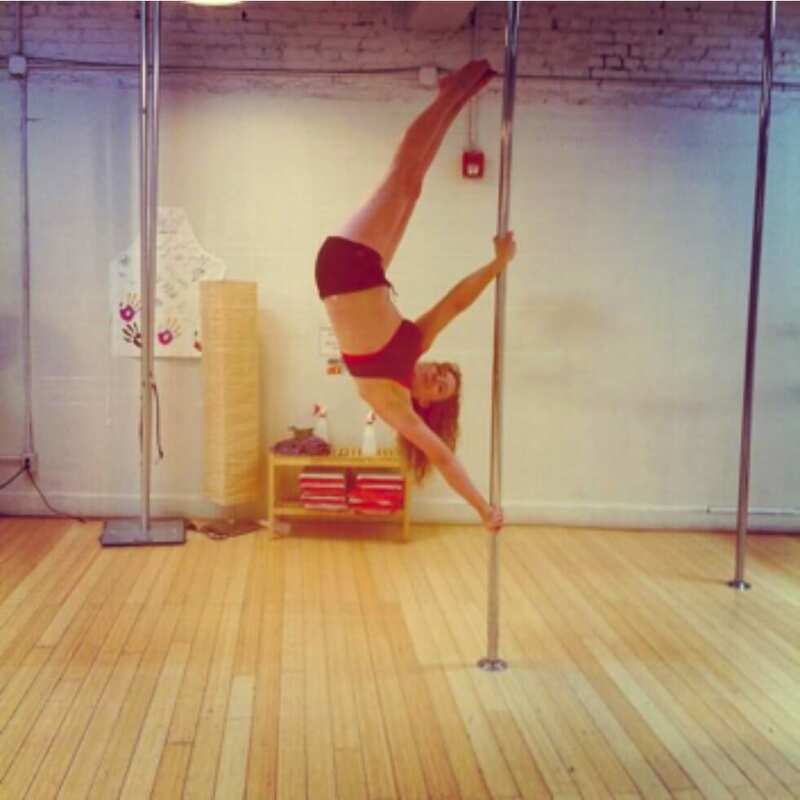 Once I started being a full-time pole student again, I started seeing even more improvements. But there were some moves that I just couldn’t get – my shoulders have always been the most inflexible part of my body, so a lot of the moves that relied on twisting in the upper back and shoulder area were insanely hard (the allegra anyone?? ), and the strength that I was gaining seemed like it needed a kick start. June 2013 – I think that my face is my favorite part. This was one of my first times trying the straight edge out of a twisted grip. I had been toying around with the idea of adding CrossFit to my crazy workout mix for a few months and gone to a couple of different intro classes at boxes around the District (first Crossfit lesson for polers, box = studio). Why couldn’t I commit? The first consideration was definitely cost. At the time, I was living in a studio apartment in DC paying off my student loans, so forking over a couple hundred dollars a month for unlimited classes, when I knew I could only make it a couple of times a week, just wasn’t financially viable for me. The second, and related issue, was schedule. With pole and hoop classes, I knew that I could only commit to a couple of CrossFit classes per week – otherwise I knew I would burn out, or worse, get injured. September 2014 – Not only straighter, but visible muscles! Fast forward about a year – I got married (woo!) and moved to the ‘burbs. I was thrilled to find that there was a CrossFit box right around the corner from my new place with a huge variety of membership options! And most importantly, it had the right vibe for me. 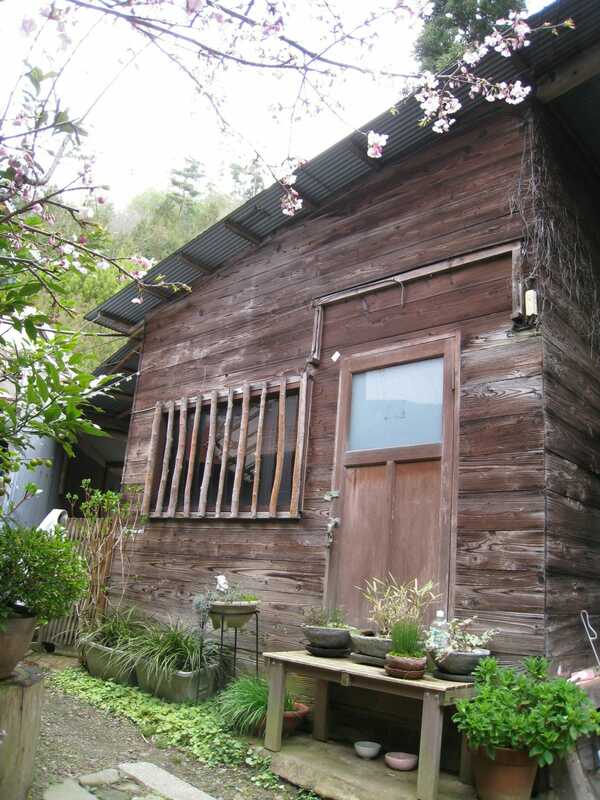 I think that most polers will understand that feeling – each studio often has its own unique environment and mix of people. CrossFit boxes are much the same – each box, while similar, has a certain “feel” to it. It’s hard to describe, but I felt (and still feel!) very much at home at my box. 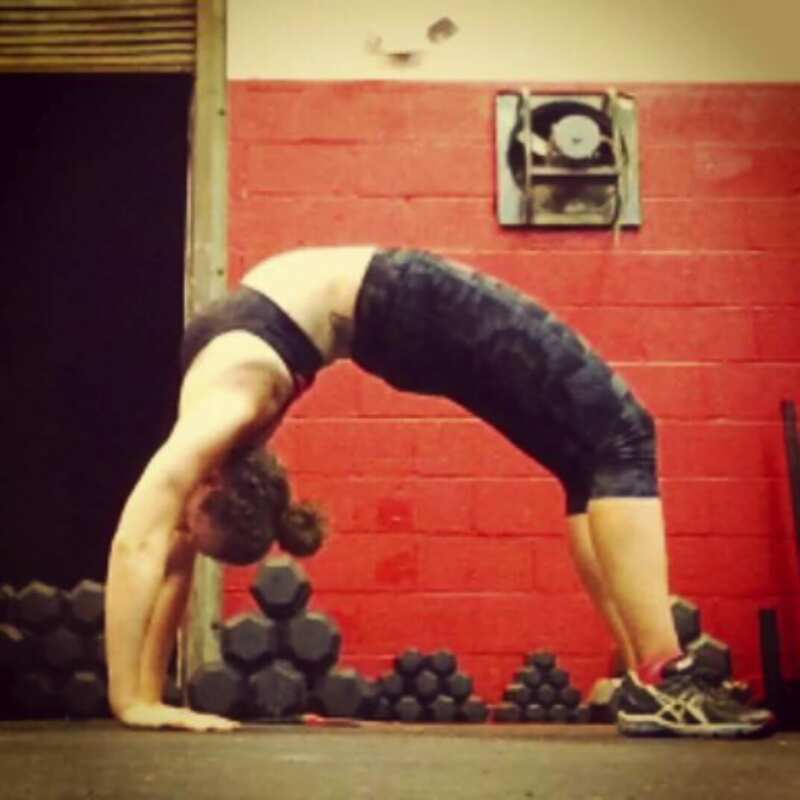 Plus I love being able to do handsprings on the lifting cage – slowly but surely I will get that deadlift! After completing the mandatory Foundations classes (going over the basic movements in CrossFit and generally making sure you understand form and scaling), I started doing WODs (workout of the day) about 2-3 times per week, depending on my schedule. 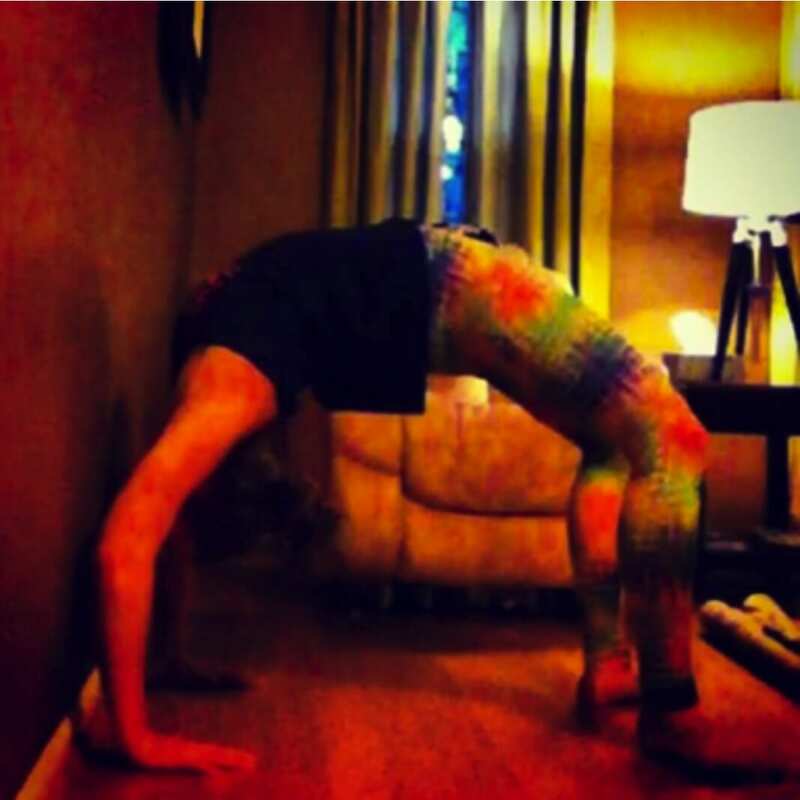 March 2014 – The struggle has been real with wheel pose. This was the briefest of holds and against the wall. But How Has CrossFit Helped? First of all, it obviously assists in the strength training department. At my particular box our Monday, Wednesday, and Friday classes are usually lifting focused, where our skill work is geared towards specific lifts. Tuesday, Thursday, and Saturday classes also incorporate lifting, but not as heavy in weight and more as part of the overall workout. I have noticed such an improvement in my strength in pole as a result. The iron X, the nemesis move of many a poler and one that I had been testing on and off for about a year went from incremental differences in how slowly I could lower it to being able to hold it for multiple seconds (I can actually get pictures in now, instead of trying to screenshot a video!) Holding a twisted grip pencil is now practically a rest position, instead of a struggle. October 2014 – Straighter arms, more push in the legs and NO WALL NEEDED! It’s still a journey, but I am so proud of this move! The second place where I have noticed a significant improvement is, believe it or not, in my shoulder flexibility. Mobility work is a large component of CrossFit and I have seen such a different in my full wheel and forearm wheel yoga poses. Increased strength and improved flexibility are easily the two things that I hear most often in class that polers want to work on – and at least for me, CrossFit has helped and continues to help those areas! So yes, it’s hard – pole is hard, CrossFit is hard. But when you find yourself plateauing, sometimes a good set of toes to bar is exactly what you need. Crossfit Lifeforce has helped me in ways i never would have imeagnid Jon and Steve are great the people are awsome and the workouts are so much better then going to the gym, lifting weights, and running on treadmills.i lifted weights for most of my adult life and i say every day i wish crossfit was around when i was younger.If your stuck in limbo need a more intense workout or just maybe on the fence a bit about crossfit JUMP over that fence and come join us at Crossfit Lifeforce i promise you your going to love it.